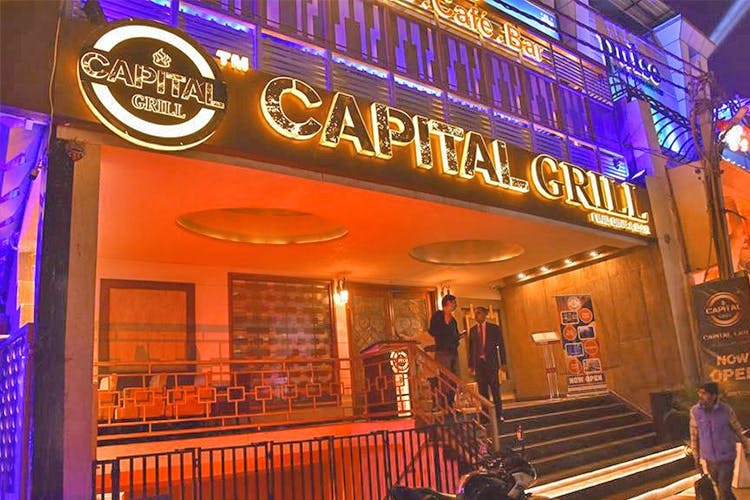 Capital Grill is a high-end restaurant located in Rajouri Garden with beautiful decor and excellent service. Young professionals and meat lovers will enjoy the items from their grill menu; those cocktail lovers have some amazing options to try out, too. The ambience is great and the restaurant is a proper fine-dining place with light music playing in the background, which does not make conversations difficult. Comfortable seating and sufficient lighting ensure that you have a good look of what you eat and drink. Try the chicken steak which is served with the textbook combination of vegetables and mashed potatoes, as well their burgers and pastas. For drinks, try the Basil Cucumber Smash. The staff is well-trained and knows their menu well. The variety offered here is amazing, and the staff helps you choose the right dishes as per your tastes. I suggest that you make a reservation beforehand. As the restaurant is located on the main road, you might face some parking difficulties. Take a cab and save yourself some time.